The girl who wouldn’t die hunts the killer who shouldn’t exist. 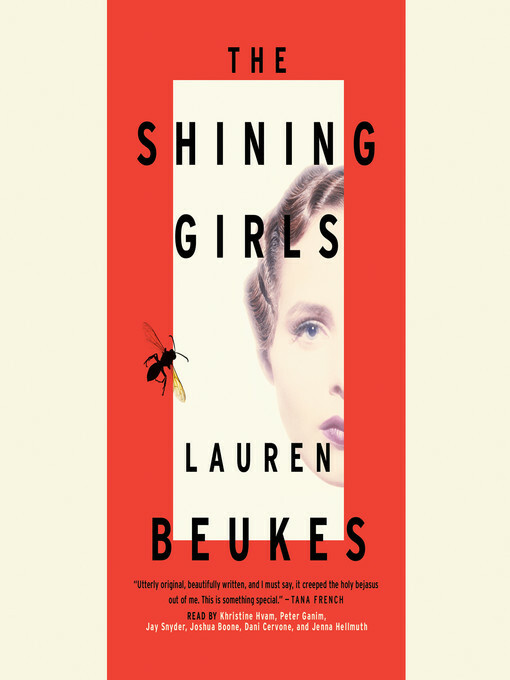 Kirby is the last shining girl, one of the bright young women burning with potential whose lives Harper is destined to snuff out after he stumbles on a house in Depression-era Chicago that opens onto other times. At the urging of the house, Harper inserts himself into the lives of the shining girls, waiting for the perfect moment to strike. He’s the ultimate hunter, vanishing into another time after each murder, untraceable—until one of his victims survives. Determined to bring her would-be killer to justice, Kirby joins the Chicago Sun-Times to work with the ex–homicide reporter who covered her case, Dan Velasquez. Soon Kirby finds herself closing in on the impossible truth. The Stantons and the Nortons were families in the truest, oldest sense: extended networks of kin stretching across the mountains, everyone within hiking distance. They’d come from the British Isles and settled in the Appalachians of North Carolina during the 1700s, bringing with them their dearly loved songs and their clannish ways, their ties to the land ultimately becoming as strong as their ties to one another.” “So when Larkin Stanton is left parentless at birth in the 1840s, he is taken in by his cousin Arty Norton and, true to the family way, starts singing before he starts talking. As Larkin grows up, he hungrily learns every song he can, as well as the subtleties of ballad singing: how the songs are about the joys and the horrors of life, and how the best singers can produce a song that will summon tears. Going head-to-head with Arty’s brother, Hackley, the cousins’ competitions to produce the finest song soon spill over into the wooing of the finest girl in the community, Mary.” When Hackley wins Mary and then leaves to fight in the Civil War, Larkin, still too young to enlist, finds himself uncontrollably drawn to the woman who’s held his heart for years. What he does about that love defies all he has learned about family and loyalty – and reminds us that these mournful ballads didn’t come just from the imagination, but from imperfections of the heart. Tired of paying a fortune for eBooks? Wish there were a free alternative? Lucky you! As a Chatham County Public Library patron, you have access to our eBook collection (e-iNC Library), which contains over 12,000 eBook and eAudiobook titles, all available to download for FREE with your library card! To check out our collection on a computer, visit www.chathamlibraries.org and click on “Download eBooks” in the left-hand menu. Search by author, title, or subject, or just browse collections to see what’s on our digital shelves. Patrons may check out four titles at a time, with a three-week checkout period. At the end of your lending period, titles will automatically expire and be returned to the collection for the next patron to check out. This means you’ll never incur a late fee on an eBook title! Download to your iPad, iPhone, Android, Kindle, Nook, or other e-reader device. Step-by-step instructions are available here, at the bottom of the page. Make sure to click on the appropriate device, as download instructions vary widely among devices. Questions? Give us a call at the Reference Desk to schedule an appointment for one-on-one assistance: 919-545-8086. 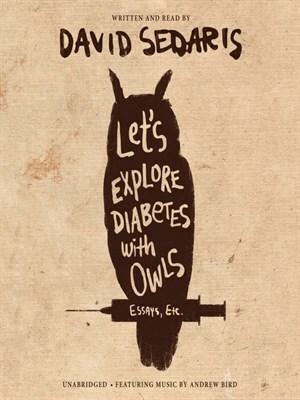 David Sedaris is the author of the books Squirrel Seeks Chipmunk, When You Are Engulfed in Flames, Dress Your Family in Corduroy and Denim, Me Talk Pretty One Day, Holidays on Ice, Naked, and Barrel Fever. Desperately seeking listening material for your commute or workout? With your Chatham County Public Library card, you have access to more than 1,500 free downloadable audiobooks through OneClickdigital, yet another resource offered to North Carolina library patrons through NC LIVE (www.nclive.org). These unabridged titles include fiction and nonfiction, classics and popular literature, and books for both adults and younger readers. You’ll find history and language-learning resources, self-improvement, as well as sheer entertainment. Files will work with most iPods and WMA-compatible MP3 players, or you can listen through your computer. Depending upon restrictions set by publishers, some titles can be burned to CD after download. The very best part? There are no damaged discs, none to misplace, and no overdue fees! Items check out for up to one week, can be renewed, and simply become inaccessible at the end of their checkout period. Help resources are available from the tab on the homepage. Here you’ll find FAQs, links to tutorial videos, compatible devices, and helpdesk info. All the programs you’ll need for downloading and managing your audiobooks are readily accessible here, and you’ll also find directions for specific devices. “I finished Ready Player One and it was fantastic! I grew up in the eighties (graduated high school in 1986) so this book was extremely nostalgic for me. I have already recommended it to two other people in my same age group. I believe that Barnes & Noble called this book the best science fiction novel of the year. I don’t read as much science fiction as other genres but it definitely was one of the best books I’ve read, regardless of genre. If you have not already checked out our e-book and e-audio collection, please do. We are adding titles as fast as we can to this popular collection.We also offer a revolving series of classes on using e-readers. Contact the library for more details at 545-8084. If you are a member of our reading (or listening) community and would be interested in contributing reviews to this blog, please let us know! We’d love to hear from you. Contact Molly or Brendan in Circulation for more details.